I usually remember August as being sweltering, but this year the weather has been wonderful! Ogre and I wanted to enjoy lunch by the water last weekend, so we visited Serendipity for the first time together. The waterfront restaurant overlooks the Indian River Bay in Oak Orchard, Delaware. 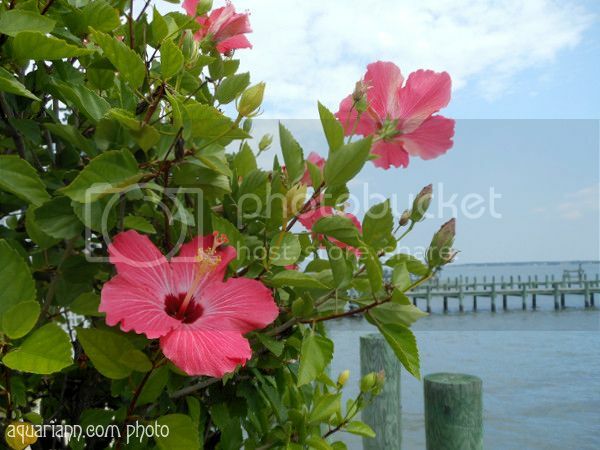 I was delighted to join several pink hibiscus plants in soaking up the beautiful view from the back deck. And such a beautiful view you found to enjoy lunch!! Thank you for sharing!!! What a pleasant place to have lunch, those look lovely I always thought that name hibiscus quite funny heheh! What a beautiful photo! Have a terrific night. Beautiful photo. I love the composition! Great job! Happy #WW! My favourite flower beautifully photographed! Love it. I love your flower photos. What a lovely setting for your lunch! Aren't hibiscus such a cheerful, flamboyant flower? :) Have a great day! Lovely flowers, not to mention this is a great shot. Lovely flowers, have a nice day! 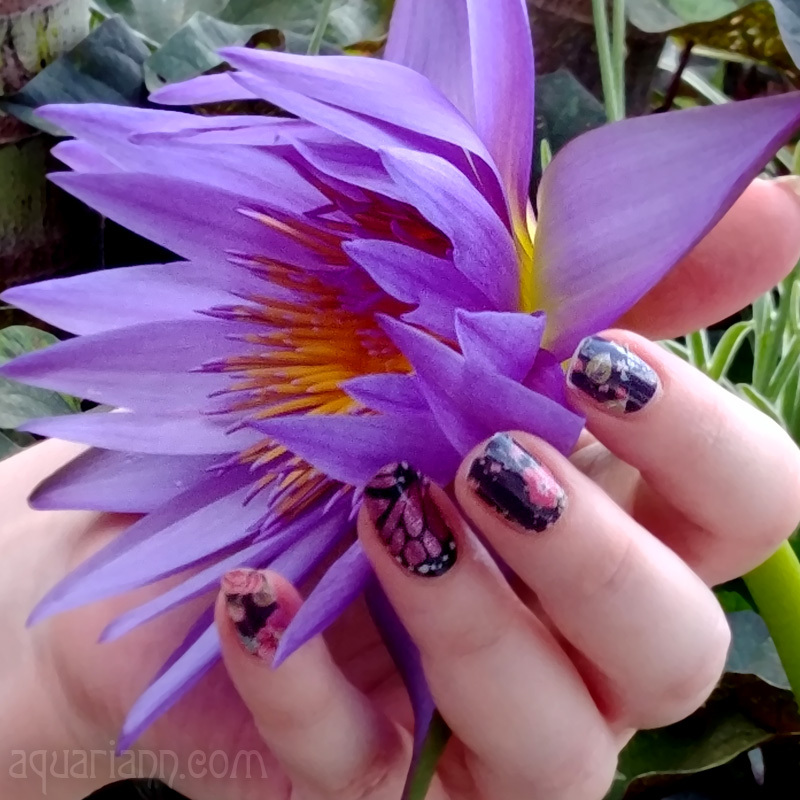 Those are such gorgeous and unique flowers. They feel and smell tropical and just remind me of vacation. They are very serene. Thanks! Great color. Love their size. Love that bright splash of color against the pier and water behind. I absolutely LOVE hibiscus flowers! Hibiscus are so pretty! Great photo! Wow, those flowers are beautiful! I love how bright they are compared to the background and the sky. Beautiful flowers! I love the contrast in colors. I'm a fan of taking pictures of flowers, because then they can't help but be pretty. :) Happy Wednesday! I love hibiscus flowers!!! Nice photo! so beautiful!! I just love them. my mom just phoned me the other day to say hers had bloomed. and now I want one!! That is beautiful! I am sure going to miss summer. Have a terrific day!